One of the many benefits of attending the annual conferences is exchanging wine with friends from other states. 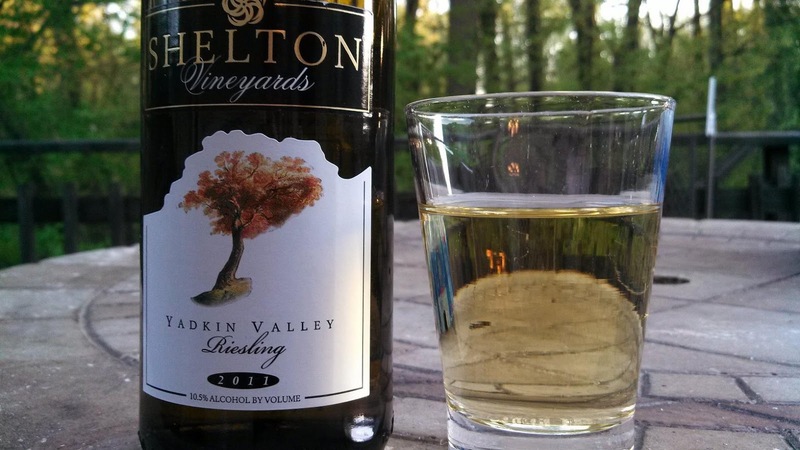 One of the wines I received was from our friends at Nomacorc, who brought along a wine from their Tar Heel state - the Shelton Vineyards 2011 Yadkin Valley Riesling ($12.99). The Yadkin Valley is Carolina's premier wine growing region, located just south of Virginia along Highway 77 and has successfully transitioned from tobacco to grapes. 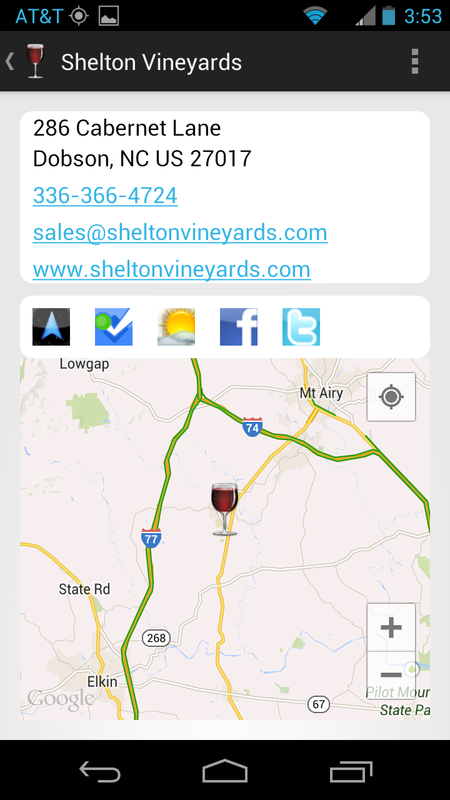 Closing in on their 15th anniversary, Shelton is "the largest family-owned estate winery in North Carolina" and a popular Yadkin Valley destination. The Riesling is made off-dry and exudes a flavor profile of apricots and peaches. The one area lacking is acidity, would like to see more acid to balance the sugar. Maybe the valley is a bit too warm. In any case, this is a decent wine, affordable, and one I'd quaff down again. Cheers.